We thank our generous sponsors! Their sponsorship donations will fund the new Maryland Avian Research and Conservation (MARC) Fund for Youth. Please support these organizations who support youth birding and bird conservation in Maryland! Carl Zeiss SBE, LLC, its employees, and brand ambassadors are advocates for young birders and programs that support them. ZEISS is a long standing sponsor of the Cornell Lab of Ornithology’s Young Birders Weekend, New Jersey Audubon’s World Series of Birding Youth Birding division and sponsor programs in Ohio, New Jersey as well as many other local efforts. In partnership with Rockjumper Tours, ZEISS also provided sponsorship for the ABA’s young birder camps during the summer of 2018. As a manufacturer and supplier of some of the finest binoculars spotting and binoculars for birder’s, ZEISS remains a committed partner to the birding community. It is our pleasure help support the Maryland Bird Conservation Symposium! The Maryland Ornithological Society (MOS) is a nonprofit, statewide organization of people who are interested in birds and nature. It was founded in 1945 and incorporated in 1956 to promote the study and enjoyment of birds. MOS promotes knowledge about our natural resources and fosters its appreciation and conservation. The Society also maintains a system of sanctuaries to encourage the conservation of birds and bird habitat, and to help record and publish observations of bird life. MOS fosters interaction and exchange of information among people interested in wild birds to encourage the study and enjoyment of birds and the natural world. Since 2000, YMOS has fielded teams at the World Series of Birding, an international birding competition sponsored by New Jersey Audubon in Cape May, NJ. YMOS teams have won each of the 4 possible categories: Elementary, Middle, High School, and the youth Carbon Free Category. On 2 occasions, our high school team has recorded the top overall species total, besting both youth and adult teams! The 2015 Raucous Gulls hold the current youth record with 217 species recorded that year. Most important, the teams learn teamwork and advanced birding skills. Maryland Biodiversity Project (MBP) is a 501(c)3 non-profit organization focused on cataloging all the living things of Maryland. Our goal is to promote education and conservation by helping to build a vibrant nature study community. The project was started in June 2012 by Bill Hubick and Jim Brighton. Our community has cataloged over 18,000 species, including over 10,000 species with photographs, and feature the work of more than 1,000 naturalists and photographers. The Delmarva Peninsula possesses an extensive variety of environments, including barrier islands, tidal wetlands, cypress swamps, upland fields and primeval forests. Our annual Delmarva Birding Weekends celebrate the amazing warblers, shorebirds, waterfowl and raptors that visit and live here on the peninsula. Field trips take place in the land and water that feed into the Chesapeake and Delaware Bays, and the Atlantic coastal bays. More than 400 bird species have been recorded in the region. 202 species were tallied during the 2009 spring Delmarva Birding Weekend! In 2017, we started pairing great birding and great coffee shops and breweries with our monthly “Beans, Birds & Beers” series, and we’re working with Smith Island to run special trips to Maryland’s only inhabited island, home to one of the northernmost Brown Pelican nesting colonies on the planet. The Delmarva Birding Weekends and other events are organized by Conservation Community Consulting, LLC, along with a host of other sponsors and partners. Both Delmarva Birding Weekends and Conservation Community Consulting are proud partners of the Maryland Bird Conservation Partnership. Delmarva Birding Weekends, along with Worcester County Tourism and Somerset County Tourism, was presented with the Transactional Opportunities Award from Maryland Tourism during the Maryland Tour & Travel Summit 2018. The award was presented for successfully creating tourism products and programming to bring in revenue. The award recognized our summer 2018 Smith Island Pelican Tours and Maryland coastal bays Sunset Seabird Safaris. The Anne Arundel Bird Club (AABC), organized in 1954, is one of 15 chapters of the Maryland Ornithological Society which is dedicated to the protection and conservation of birdlife and other natural resources. The AABC hosts monthly meetings, numerous field trips, lectures, and other activities throughout the year. We proudly support conservation and youth birding in Anne Arundel County and throughout the state. AABC welcomes birders from Anne Arundel, Charles, Calvert, and St. Mary’s counties to join. 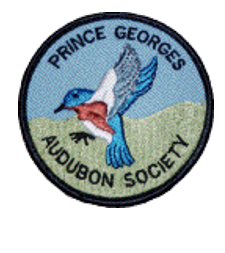 Prince George's Audubon Society (PGAS) is a local chapter of the National Audubon Society serving Audubon members in the northern part of Prince George's County, Maryland. PGAS was established in 1972 as a non-profit organization with officers and a board of directors, all volunteers, elected by the general membership. PGAS members receive our chapter newsletter, The Bluebird, and are encouraged to actively participate in chapter activities including a monthly speaker series, bird walks, field trips, annual bird counts, and other special events. Eco-Science Professionals, Inc., provides natural resource consulting services for public and private clients. Our services include wetland delineation; Forest Conservation compliance; rare, threatened & endangered species surveys; forest interior breeding bird surveys; and, habitat restoration design and implementation. We are excited to be able to sponsor the Maryland Avian Research and Conservation Fund for Youth because we want to encourage young people to spend time outside and to develop greater understanding and passion for protecting natural resources. Safe Skies Maryland was created to empower citizens to know what to do about the significant threat of bird collisions with glass and other structures, to have direct access to the most scientific and technological information, and most specifically, to know how to prevent it and protect birds for future generations. We endeavor to ensure safe skies and safe passage for birds supported by the necessary and welcome efforts of many in our communities throughout Maryland. Scenic Rivers Land Trust (SRLT) works with landowners and other partners to preserve natural and scenic areas in Anne Arundel County. Conservation easements are a vital tool for conservation, and SRLT educates landowners about easements and helps them create small private conservation easements as well as easements on large parcels. The goal of SLRT is to preserve natural and scenic areas in Anne Arundel County within the Severn, South, Patuxent, Rhode, and West River watersheds. Incorporated in 1998 as a 501(c)(3) corporation, SRLT is an authorized Maryland Environmental Trust easement agency. Susquehannock Wildlife Society is a 501(c)3 non-profit dedicated to protecting our native wildlife and its habitat in and surrounding the lower Susquehanna River basin through rescue, research, education, and conservation. We exist for one reason, to protect wildlife. This may be done in many creative ways but it will always be the glue that binds us together as an organization. Whether it is through public education, conservation efforts, rescue, or legislation, we will stand as a helping hand and voice for wildlife. The name Susquehannock derives from the indigenous people who once inhabited these life-giving lands that border the Susquehanna river and its watershed. These “people of the muddy river” as they were called, had a bond with wildlife and the environment that was of a spiritual nature. This land and all that was found in it were critical to their survival and they felt it was their duty to protect it and treat it with the reverence it deserved. We, as an organization, want to reignite that bond between humans and nature that has often get forgotten as our culture continues to adapt to the modern era.